DUCHESNEAU DE LA DOUSSINIÈRE ET D’AMBAULT, JACQUES, intendant of New France (1675–82), chevalier, councillor to His Majesty, a treasurer of France, commissary for the generality of Tours c. 1664, and general of the king’s finances in Touraine; baptized 20 Feb. 1631 in the parish of Saint-Saturnin at Tours, France, son of Jacques Duchesneau, king’s councillor, and of Renée Robin; m. 28 Nov. 1654 Jeanne Gilles de La Gruë in the parish of Saint-Hilaire, at Tours; d. 1696 at Ambrant, near Issoudun (Berry). His titles of squire and chevalier are said to go back to the year 1511, to his great-great-grandfather. His ancestors were seigneurs of Breux, Montargis, and La Doussinière, and his paternal grandfather was chamberlain to Charles VII. 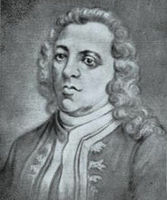 Jacques Duchesneau belonged to a junior branch of the family and was the only one of his name. He had powerful protectors at court; he was even held in high esteem there by Colbert and the king, who, in appointing him to the office of intendant, stressed the wise conduct that his devoted subject had displayed in his office as a treasurer of France at Tours and in the various commissions that had been given him. His Majesty had also noticed the zeal and the loyalty that he had displayed in his service. Would the governor, who had a very lofty view of his position as viceroy, who held the foremost place in the council, and who for three years had directed all the affairs of the colony as he pleased, be content to express an opinion and to vote like everyone else? According to Thomas Chapais, Duchesneau was “a man who clung to his rights and prerogatives, and he was endowed with great energy and rare tenacity of character . . . fussy, stubborn, meticulous, and aggressive despite a correct and apparently moderate manner. Frontenac was arrogant, irascible, imperious, and vindictive. 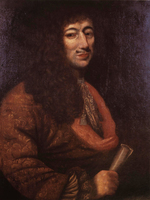 Obviously one of these two men at Quebec would have to go.” From that time on each strove fervently to ruin the other at court: Frontenac through his charming wife, Duchesneau thanks to his family’s connections with the Voyer d’Argenson family and with Robert de La Lande, Louis XIV’s deputy governor. This quarrel over titles was to become increasingly acrimonious until it reached its culmination early in the year 1679. In the face of the resistance put up against his claims, Frontenac lost his temper to the point of confining to their residences the attorney-general, Denis-Joseph Ruette d’Auteuil, and two other members of the council who were favourable to Duchesneau: Louis Rouer de Villeray and Charles Legardeur de Tilly. The council’s activity was thus paralysed, and the dispute was submitted to the king for decision. In the meantime a compromise was suggested to the governor: it was proposed that the deliberations of the council should be resumed without any specific title being given the contending parties. Frontenac first rejected this idea, but sensing clearly that he would not receive the sovereign’s support in this affair, finally accepted it. And indeed the king, in his reply, decided in the intendant’s favour: His Majesty chided Frontenac for his conduct and ordered him to be content with his title of governor and lieutenant-general of the colony. 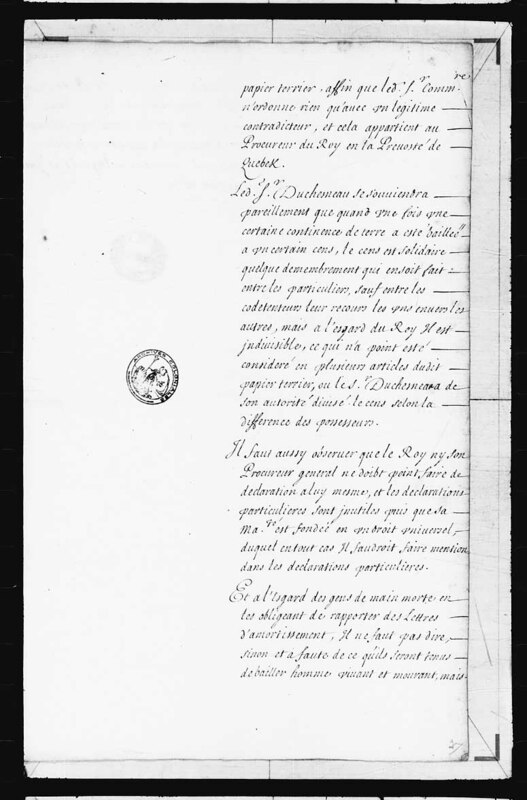 Peace was, however, far from being restored, for there were other subjects of dissension – for example, the visit that Duchesneau made to La Prairie-de-la-Magdelaine, not long after he arrived, in the month of June 1676, and which the Relation for 1675 records. Accompanied by his son, by Perrot, governor of Montreal, and by more than 50 important persons of the colony, including the parish priest of Ville-Marie (Montreal), the intendant proceeded with great pomp to this mission. 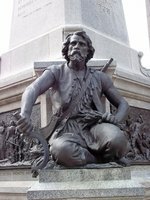 He granted a league and a half of land to the Indians and held a general council of the Five Nations of the Iroquois, who were joined by some representatives of the Hurons and the Mahicans. On this occasion he offered a great feast and distributed gifts to the Indians. This display of magnificence on the part of the new intendant was not calculated to reassure the king’s representative, who was so jealous of his prerogatives. Conflicts of personalities apart, the court fully intended to divide powers in order better to rule over the colony. Jurisdictions, which were fairly clearly defined in theory, overlapped and were often in conflict in practice. Telling the governor that he represented the king’s person, granting him a special guard of honour, was tantamount to inviting him to direct the state as he wished. It would subsequently be difficult to restrict his attributions. For they were not unlimited. It is true that he had absolute and sovereign authority in the conduct of military matters and in relations with the Indian tribes. But even in this domain he had to turn to the intendant for questions of clothing, food, transport, and pay. In matters of justice and finance it was the intendant who had the upper hand; however, in certain cases the governor had independent jurisdiction. As far as religion and public order were concerned, the two senior officials shared rights and often had to take decisions together. On many points the intendant had broader authority than the governor, who became a sort of comic-opera king, possessing only the right of veto. In case of divergences of opinion, they had to submit the matter to Versailles. But there again the intendant was often the stronger, since normally he had had long experience with administration and had protectors at court. This tangle of powers and this sharing, as it were, of functions presupposed a good measure of self-denial and a great spirit of conciliation in the two men. These were certainly not the predominant qualities of Frontenac, or of Duchesneau. Nevertheless they both continued to misuse their powers. In turn each of them had the coureurs de bois who were connected with the other side arrested and those in his own camp freed. There is even the case of a member of the Conseil Souverain, Mathieu Damours de Chauffours, who had obtained through the intendant a trading licence that was valid for the region of Matane. Frontenac had him arrested and brought before the council. Duchesneau defended the accused and once again stirred up the governor’s anger. Two other events contributed to the deterioration of the situation. The attorney-general of the council, Ruette d’Auteuil, had to retire because of age, but he would have liked to be replaced by his son, François-Madeleine-Fortuné Ruette* d’Auteuil de Monceaux. The father had been on the intendant’s side at the time of the famous quarrel over the governor’s rights, and Frontenac had too good a memory to have forgotten the father’s insulting attitude. 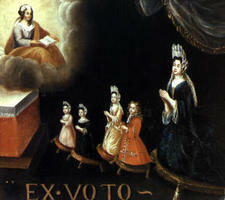 Moreover, the son was not of the required age for sitting on the council. Duchesneau sowed the wind in nevertheless proposing François d’Auteuil’s appointment to the position of attorney-general. He reaped the whirlwind, which, once more, died down at the foot of the throne in Versailles, where the bold young man had to go to plead his case and have the age requirement waived. Another event reeks of melodrama. 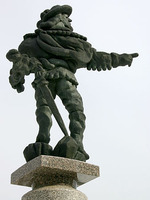 In the spring of 1681 some of Frontenac’s people, while walking in the streets of Quebec, saw in the distance the intendant’s son, who was 16 or 17 years old; accompanied by his servant, he was sitting “on the palisade which overlooks the path that leads from Lower to Upper Town, . . . singing for his own amusement an air without words.” The two groups quarrelled. From foul words they went on to insults. 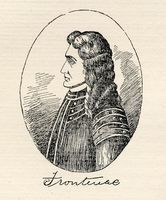 Frontenac, to whom the altercation was reported, considered that he had been insulted and ordered young Duchesneau and his servant to be arrested. The intendant anticipated this, barricaded his house, and prepared to defend himself. The order for the arrest was not carried out. But discussions were begun between Duchesneau and Frontenac through Bishop Laval. The bishop went to and fro between the intendant’s house and the governor’s château. Frontenac demanded that those who had insulted him come to offer their apologies to him. Duchesneau, who feared his enemy’s vindictiveness, asked for guarantees. And so the bishop went to seek assurances from one, and to calm the apprehensions of the other. Duchesneau finally took the risk and sent his son and his servant to see the governor. As usual, Frontenac flew into a rage. The servant received some blows from his cane and went, along with his young master, to expiate in prison his lack of respect towards the king’s representative. The lesson lasted a month. Duchesneau was far from being pleased. 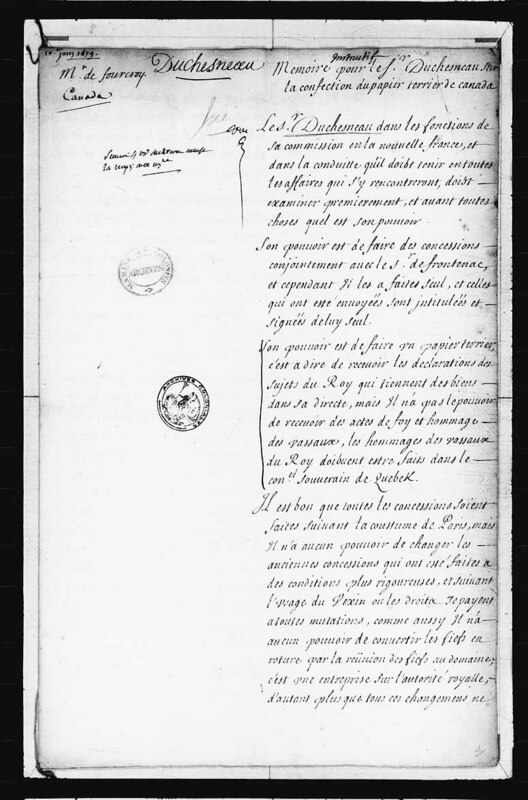 For his part, Frontenac, giving vent to his dissatisfaction, wrote to the minister, on 2 Sept. 1681, that everyone was entitled to complain of the wrongs that he might have suffered, but that to do so juridically in the proceedings of the Conseil Souverain “amounts to informing publicly against a governor and to wanting to submit him to the jurisdiction [of the members of the Council].” He attributed to Duchesneau the disorder that reigned in the council’s affairs, and criticized the “poor order in which he wants the records to be kept” and the “changes that he often makes in the decrees after they have been passed.” As proof he had copies of five or six reports of proceedings submitted to the minister. But above all the governor complained that the intendant resisted his orders and tried to foment a rebellion against him. 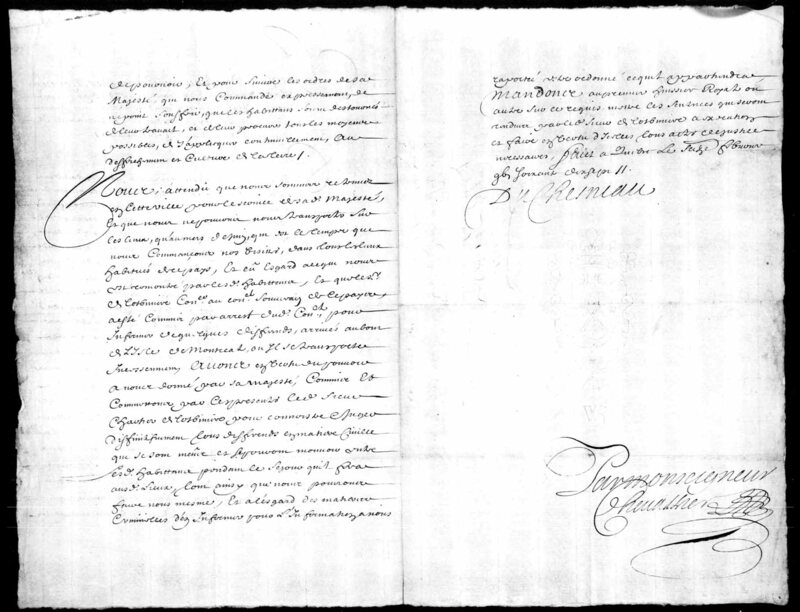 For his part Duchesneau informed Seignelay of his grievances on 13 November of the same year. The minister would have ample opportunity to improve his knowledge in reading these six long memoirs from the intendant. He would learn from them what he doubtless knew already, that things were not going very well in the colony, “that the King’s orders are not carried out, that justice is oppressed, that its officers are persecuted, and that the guilty go unpunished.” In addition, the coureurs de bois caused all sorts of disorders and destroyed French trade by going to take their furs to the English. Trade in Acadia, which could be lucrative, was dwindling. 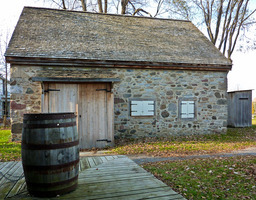 Another memoir was devoted particularly to the bad conduct of La Salle and Dulhut, friends of the governor; a third dealt with the activities of Josias Boisseau, a protégé of Frontenac. And all this ended with a general picture of the state – past, present, and future – of the king’s tax farm. That was enough. Tired of these grievances, seeing clearly that his remonstrances were of no effect, Louis XIV decreed the recall of his excessively hot-headed servants, who returned to France in the autumn of 1682. From Duchesneau’s seven years of administration some 30 ordinances are extant. It is regrettable that his time, his talents, and his experience were wasted in large measure in long and futile quarrels. 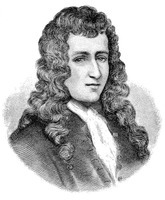 On his return to France Duchesneau withdrew to Ambrant, in Berry, where, retired from the world, he prepared for death, which came to him in 1696. AN, Col., B; C11A. ASQ, Évêques, 224; Lettres P, 46; M, 23, p.27; S, 93, p.5; Polygraphie, IV, 58; XXII, 35, et passim. Caron, “Inventaire de documents,” APQ Rapport, 1939–40, 231–46. 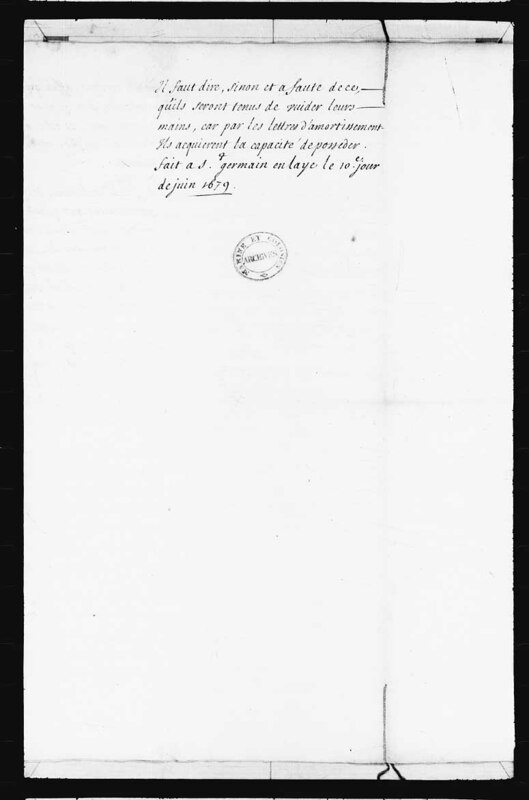 “Correspondance de Frontenac (1689–99),” APQ Rapport, 1927–28, 16. “Documents inédits sur l’histoire du Canada,” éd. H.-A. Verreau, RC, X (1873), 623–34, 683–99. Édits ord., I, 83f. ; III, 42f. HBRS, VIII (Rich), xliii. JR (Thwaites), LIX, 284–90, 316, et passim. Jug. et délib. 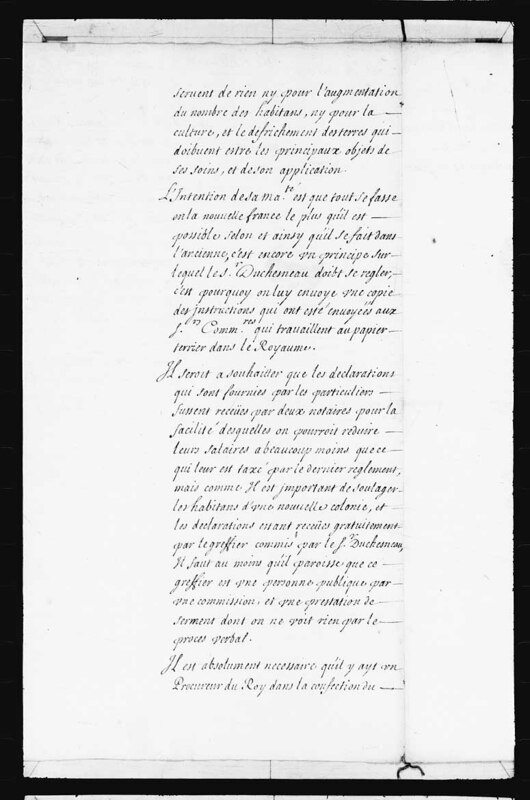 “Lettre de l’intendant Duchesneau au marquis de Seignelay, fils de Colbert (13 nov. 1681),” BRH, XXVI (1920), 275–86. Mémoires des commissaires, I, 151; II, 569, 573, 578; and Memorials of the English and French commissaires, I, 206, 746, 751, 755. NYCD (O’Callaghan and Fernow), IX. Ord. comm. (P.-G. Roy), I, 176–323. PAC Rapport, 1885, xxxvi–xli; Rapport, 1899, Supp., 38–39, 64–73, 248–56. P.-G. Roy, “Les ordonnances des six premiers intendants de la Nouvelle-France,” BRH, XXV (1919), 170–74. Royal Fort Frontenac (Preston and Lamontagne). Thomas Chapais [Ignotus], “Notes et souvenirs,” La Presse (Montréal), 13 juillet 1901, 23. 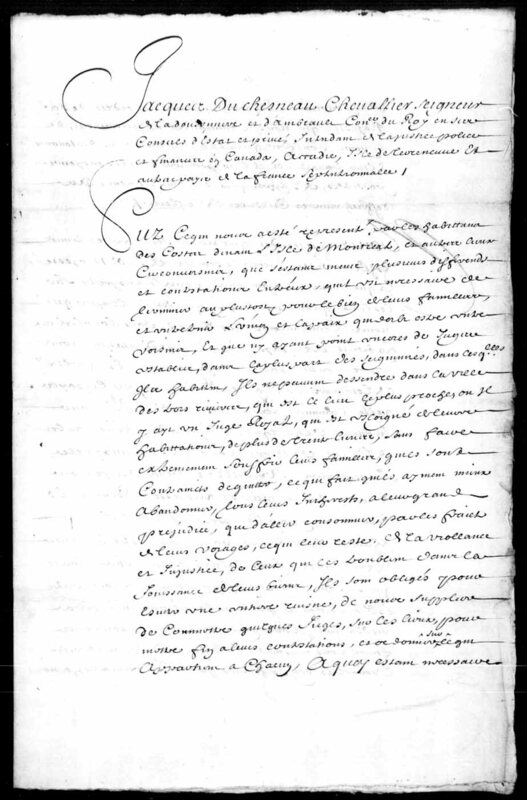 Delalande, Le Conseil souverain, 174–92. Eccles, Frontenac. 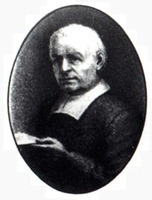 Auguste Gosselin, Vie de Mgr de Laval, II, 274–78, 307, et passim. HBRS, XXI (Rich), 126. Gustave Lanctot, L’administration de la Nouvelle-France (Paris, 1929). Henri Lorin, Le comte de Frontenac: étude sur le Canada français à la fin du XVIIe siècle (Paris, 1895). Régis Roy, “Les intendants de la Nouvelle-France,” RSCT, 2d ser., IX (1903), sect.i, 76f. ; “Jacques Duchesneau,” BRH, IX (1903), 182–84. Arch. Départementales d’Indre-et-Loire (Tours, France), “Reg. paroissiaux,” Tours, Saint-Saturnin, 20 févr. 1631; Tours, Saint-Hilaire, 28 nov. 1654: archives.cg37.fr/Chercher/REGISTRES_PAROISSIAUX-ABCN.html (consulted 2 Oct. 2012). 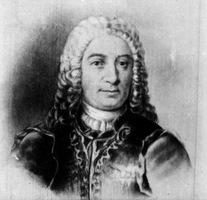 Léopold Lamontagne, “DUCHESNEAU DE LA DOUSSINIÈRE ET D’AMBAULT, JACQUES,” in Dictionary of Canadian Biography, vol. 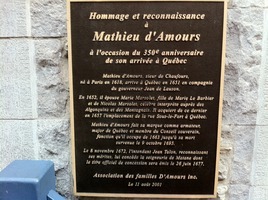 1, University of Toronto/Université Laval, 2003–, accessed April 21, 2019, http://www.biographi.ca/en/bio/duchesneau_de_la_doussiniere_et_d_ambault_jacques_1E.html.